You just can’t beat makeup. You really can’t. Why be healthy and get loads of sleep and drink lots of water when you can just slap some pink blush on and instantly look fresher. I am slightly kidding, and I do try and do some of the healthy stuff, but there is nothing quite like a healthy dose of pink blush. I don’t like deep tones or anything too red, but light pinks that almost have a slight lavender tone are the magical kind of shades that I love. If you find the right shade of pink it can make your eyes look brighter, your skin look healthier and it makes you look more awake. Basically, prettier. That is what makeup is for, right? Making you a slightly enhanced version of yourself. Benefit Hervana is a candy swirl of all of the different colours. Too small to use individually, when swirled together it just makes your skin look so healthy. The Benefit blushes are, in my opinion, the best product they do. Tarte Dollface. Ah, Tarte. 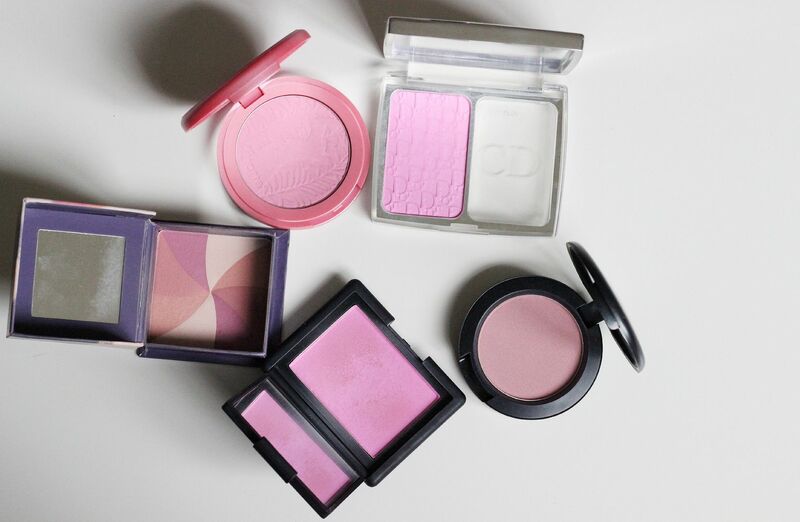 The magical elusive blushes. 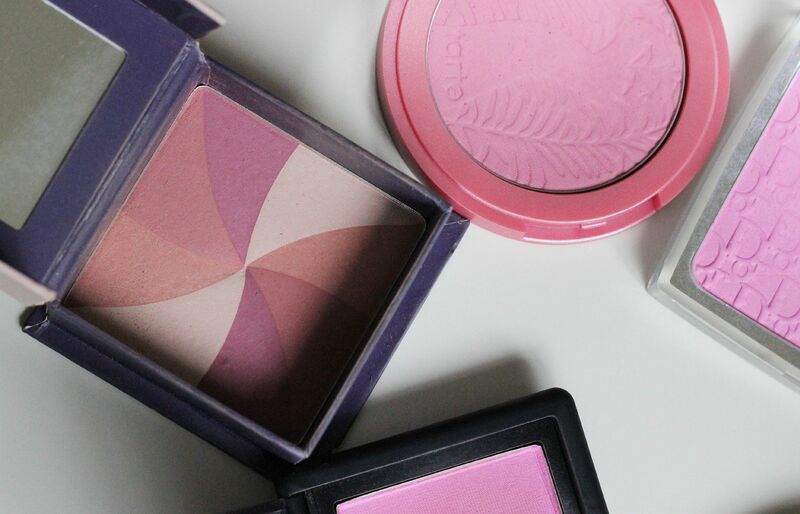 As the grass is always greener and we always want what we can’t have, Tarte blushes are pretty lustworthy. A dreamy formula, Dollface is so perfectly named because it is the colour that I can imagine a doll wearing. All porcelain skinned with a flawless complexion… who doesn’t want to look like a doll? 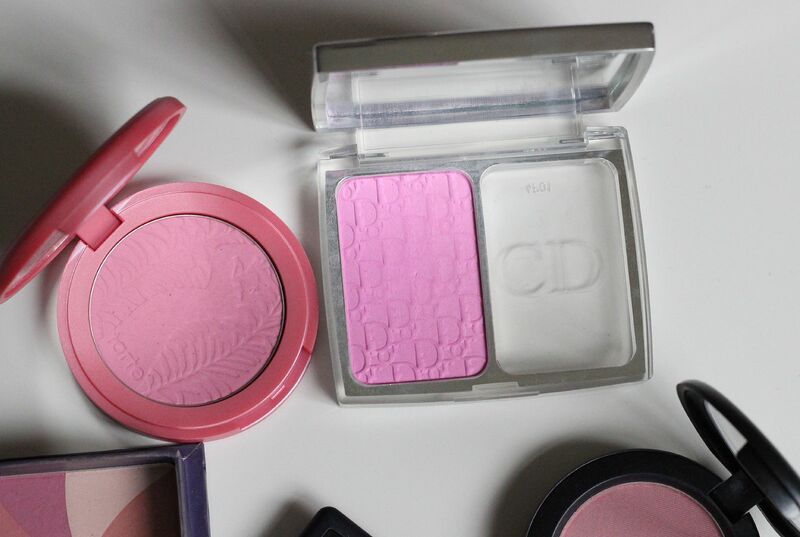 Dior Rosy Glow is a magic blusher. It adapts to your skin PH or some sort of sorcery, and allegedly gives your skin the best kind of perfect blush ever. The whole mood-ring approach to makeup has been so perfectly nailed by Dior – the lip balm is sensational as well – and although obviously gimmicky, this blush is really very nice. Plus, my friends use it and they all love it too. MAC Dame is a good MAC option, although Well Dressed and Full of Joy are equally good options. A cool toned pink that pretty much goes with any makeup look without looking too pink-cheeked or crazy. I like this one especially with MAC Pink plaid (awesome lipstick). NARS Gaiety is a rare breed within the NARS family, because it is not crazily pigmented. You don’t actually have to apply this with caution, as it so buildable. Not sheer, but definitely a shade of blush that you can merrily brush all over your face. Amazing colour, this bubble-gum pink is definitely one of my favourites, and the one I reach for when I am feeling especially tired/hungover/grim. 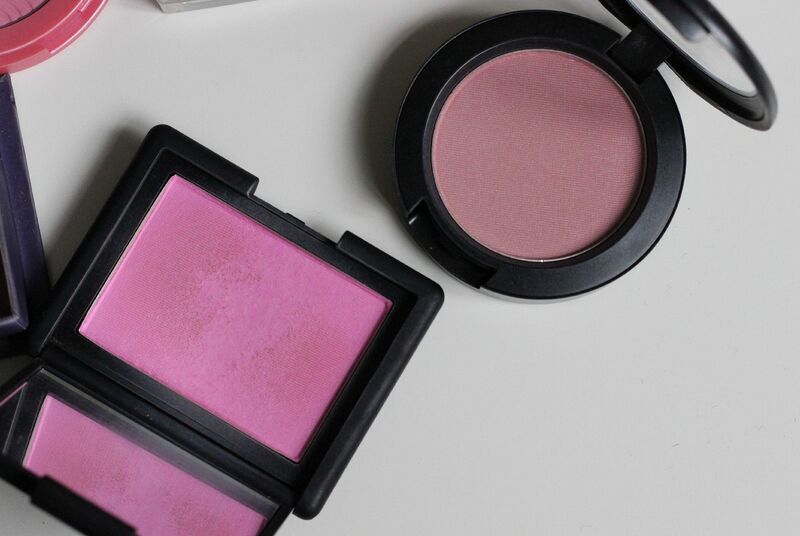 Do you do candy pink blush? Or do you managed to look awake all by yourself?